New Asian Travel (aka Newsia Express) is your one-stop shop for your express bus travel from Penang to Singapore, Malacca, Genting Highlands, Kuala Lumpur, Seremban, Kuantan and even Phuket. If you travel to Penang regularly by express bus, you've probably travelled on one of New Asian Travel's coaches. The company offers up to eight departures a day between Singapore and Penang and more than 30 trips per day from Penang's Prangin Mall (Komtar), Sungai Nibong Terminal and Chai Leng Park (Caltex Petrol Station) to popular destinations in Malaysia and southern Thailand. From Penang, New Asian Travel provides easy and convenient connections to destinations in Thailand, including Hat Yai, Krabi, Phuket and etc. 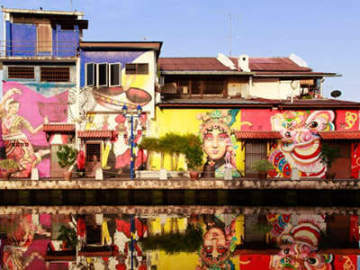 While these may not appeal to casual travellers or holidaymakers on a short trip, they are perfect for intrepid travellers looking for an interesting and scenic journey through Malaysia. For longer routes, including the Penang-Singapore route, New Asian Travel boasts large, comfortable 18-seater coaches. However, entertainment options varies, not all the coaches are fitted with personal entertainment systems. Some coaches include television screens and others offer massage chairs. For other routes, such as the Penang–Hat Yai route, New Asian Travel deploys 10-seater vans. 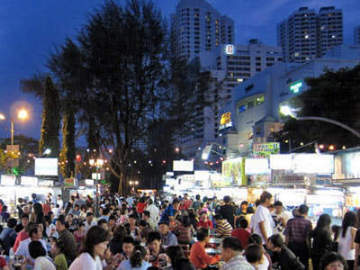 According to a VirtualTourist.com review, a Malaysian woman who travelled on one such minibus was impressed with the ease of booking and smooth travel. Buses generally leave Singapore for Penang at night, and allow commuters to rest before reaching their destination. As for bus from Penang to other destinations, there are departures in the morning and evening; for Penang-KL there are addtional departures in the aternoon. Fares for departure from Penang are charged in Malaysian Ringgit (MYR). A trip from Penang Komtar to Singapore is priced from MYR65. To check the current bus schedule, fare and book tickets online, please visit Easybook.com.